We are less than a month away from the AAO Conference at UOIT in Oshawa. Registration will remain open until Friday, May 16. 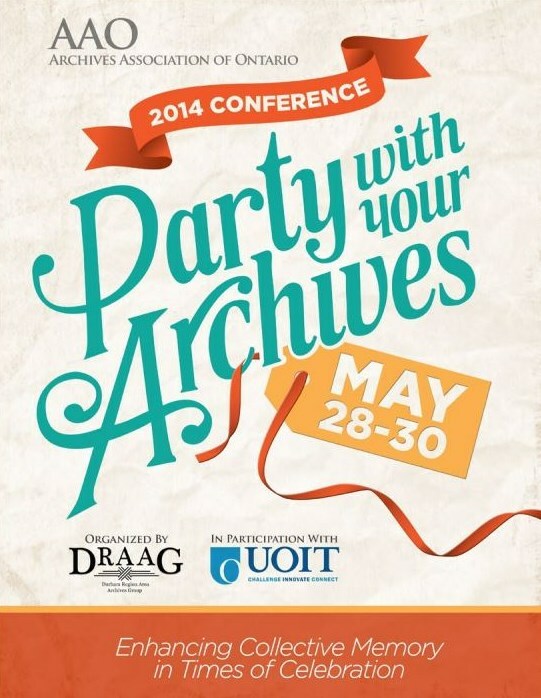 You can still register online here: http://aao-archivists.ca/event-1693121 Please contact the AAO Office at aao@aao-archivists.ca or 647-343-3334 if you require assistance. The conference program is available online. You will receive a hard copy at the conference. Looking forward to seeing many of you on May 28! This entry was posted in DRAAG Information and tagged AAO, AAO Conference 2014, DRAAG, Events, Oshawa. Bookmark the permalink.